"There is no such thing as bad weather, only inappropriate clothing," or so said Sir Rannulph Fiennes. But what do you do when you're away on holiday and the heavens open? If it really is chucking it down, never fear, there's still plenty to do in Greater Yarmouth, so your holiday categorically won't be a damp squib. Raining cats and dogs? Kids full of beans? No worries, we've got just the thing in Greater Yarmouth. 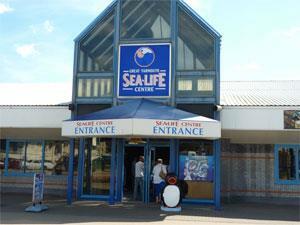 Explore the seafront aquarium, fun museums and the old penny arcade. 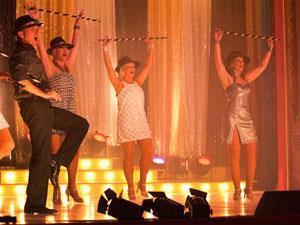 Great fun indoors at the theatre, greyhound track, cinema or circus. A bit of rain never hurt anyone, so get your mac on and get out there!. You will easily have a fantastic time whatever the weather in Great Yarmouth, there's loads for everyone to enjoy, come rain or shine. If the kids are desperate to let off some steam, don’t let the wet weather get you down, you can easily weather-proof your holiday in Greater Yarmouth with action-packed wet-weather days and no need to be cooped up indoors. If you can't beat them, join them and if you're wet already, you might as well get wetter. The tropical pool inside the Marina Centre on Marine Parade is great for swimming at any time, but fun inflatable sessions are a real highlight, with challenging themed inflatables stretching across the pool, made even more slippery by streams of water showering over you as you try to scramble from one side to the other. At the other side of the Marina Centre you'll find Retroskate, a huge indoor skating rink, perfect for letting off some steam safely undercover where you can enjoy skating sessions and roller-discos. Over the road, quasar laser inside The Mint is another fun indoor activity, fast-paced and action packed. Nearby, the Jump Warehouse is another great location for indoor bouncing about. And you won't be disappointed if you'd planned a game of adventure golf, as there are 10 indoor holes to play at Hollywood Adventure Golf, housed inside a former theatre on the Golden Mile. 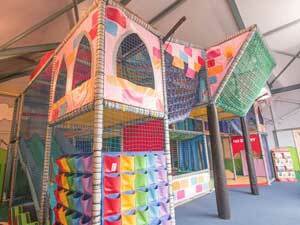 For smaller children you'll find indoor play centres in a number of locations, including the Marina Centre, Play Stax in Gorleston-on-Sea, Monkey Business at Burgh Hall Lesiure and MB's Funhouse in Hemsby. Ten-pin bowling is always great fun, whether during the day or in the evening, and in Greater Yarmouth there is a bowling alley on the seafront at the end of Wellington Pier. The huge seafront Sea Life Centre is another great inside retreat, where fish of all sorts, a giant turtle, penguins and seahorses swim calmly in their large aquariums. Handling sessions are a great way to see what the creatures feel like against your skin. If you haven't had a go at dressing up in the Elizabethan House, then you've missed a real treat; step back in time in this National Trust property and see what life might have been like in this merchant's house on South Quay. 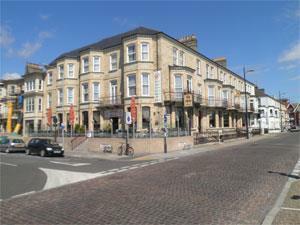 Just along the quay, you'll find Row Houses and the Nelson Museum too. 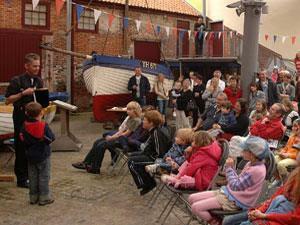 Another great museum to explore is the Time and Tide Museum of Great Yarmouth Life, housed in a former smoke house. With interactive exhibits and all sorts of fascinating information about Great Yarmouth, you'll forget it's raining outside. Amusement arcades in Gorleston-on-Sea, Hemsby and Great Yarmouth are a fun place to shelter with 2p drop games a must once you've battled your way through the latest video games. 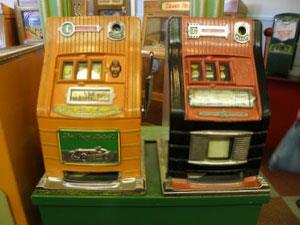 For an arcade with a diference, don't forget the Old Penny Arcade next door to Merrivale Model Village. This old-time amusement arcade which uses old fashioned pennies that you can buy from the counter shows you just why the games were referred to as amusements back in the Victorian times. If it's still raining cats and dogs, head to a cinema. 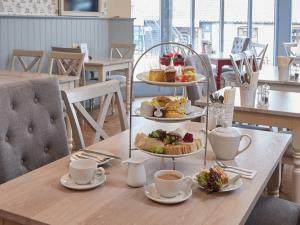 Choose from the Hollywood Royalty Cinema at the end of Marine Parade or the Palace Cinema in Gorleston-on-Sea, open from lunchtime onwards, they show a wide range of films including all the latest releases. Talking of dogs, an evening under cover in the Raceview Restaurant at Yarmouth Stadium on Mondays, Thursdays or Saturdays is the perfect way to round off a wet-weather day. Many of our friendly local pubs have darts or snooker to play, or live entertainment in the evenings. Alternatively, have a look and see what's on at the theatre, with several to choose from, there may well be a performance or show that you might fancy. And in the school holidays, the Hippodrome Circus is an obvious rainy day choice whatever your age, with performances most days at 2.30pm and 7.30pm. 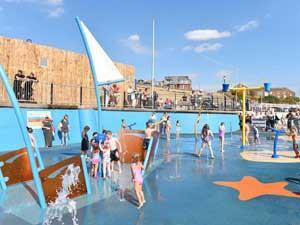 Splashpad at Gorleston-on-Sea near Great Yarmouth is a fun wet play area for children with fountain sprays, jet streams and buckets of tipping water. Traditional and contemporary crafts studios. Gifts, clothes, country food and fudge. Roses Centre. Meet the farmyard animals on Junior Farm, supervised activities every day. Children’s Funfair and Mini Adventure Golf Course. 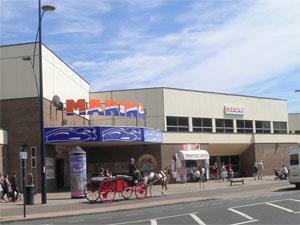 Merrivale Old Penny Amusement Arcade in Great Yarmouth. Come and try out some old-fashioned fun. Part museum, part good-old fashioned fun! Buy a bag of Old Pennies and try your skill and wits against these Victorian devices! 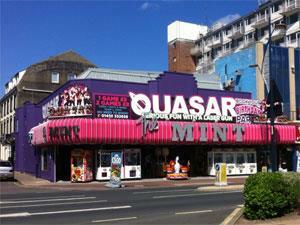 Quasar at The Mint, Great Yarmouth, is the UK's largest laser tag arena open all year! Suitable for players of all ages, 2 - 30 players. 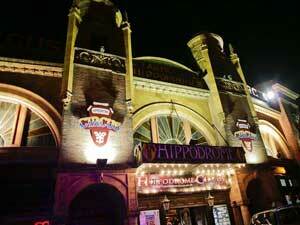 An amazing atmosphere for an unforgettable experience and perfect for birthday parties. 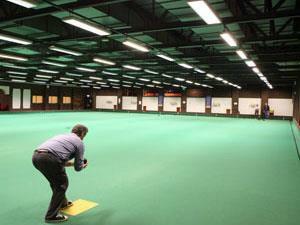 Indoor bowls at Great Yarmouth's Marina Leisure & Fitness Centre: a busy indoor bowls centre for members young and old alike. Whatever the weather you can enjoy or improve your game. 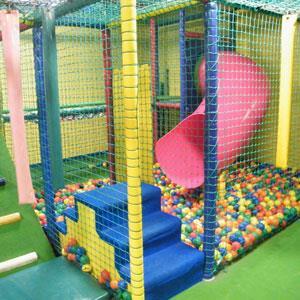 Within the Marina Leisure & Fitness Centre, Great Yarmouth is Jolly Jacks fun soft play area for young children to enjoy. Height restrictions apply. All children must be accompanied by an adult at all times. Come & visit the Marina Leisure Centre in Great Yarmouth with their beach style leisure pool with wave machine, slide and fun sessions with the giant wipeout inflatable weekdays during school holidays and every weekend throughout the year. 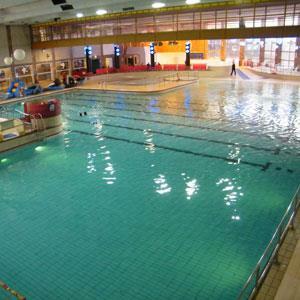 At the Marina Leisure Centre, Great Yarmouth, bookings for court or pitch sessions can be made for 5-a-side Football, Futsal, Badminton, Short Tennis, Basketball, Cricket, Baton Twirling & Roller Skating. 2 squash courts are available to book for both squash and racquetball. (Viewing area coming soon) The courts are bookable for 45 minutes a time. The Gorleston Pavilion is an original Edwardian seaside theatre situated on the East coast of Norfolk and offers unique seating at cabaret style candle-lit tables. When it comes to sport which is fast & furious, Yarmouth Stadium in Great Yarmouth is the place to be. 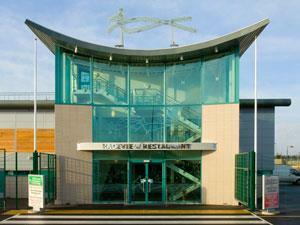 Greyhound racing action takes place every Monday, Thursday and Saturday evenings. Relax and enjoy a beverage or a bite to eat while the children burn off some energy in our indoor and outdoor multi-level play areas at The Fun Fort. 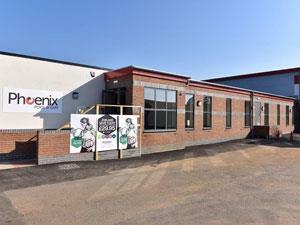 The Phoenix Pool & Gym is now open after a full refurbishment and addition of a state of the art gym, dance studio, sauna & steam room. 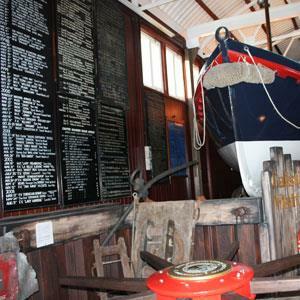 Caister Lifeboat Information Centre - tracing over 200 years of history of the country's only independently operated lifeboat.